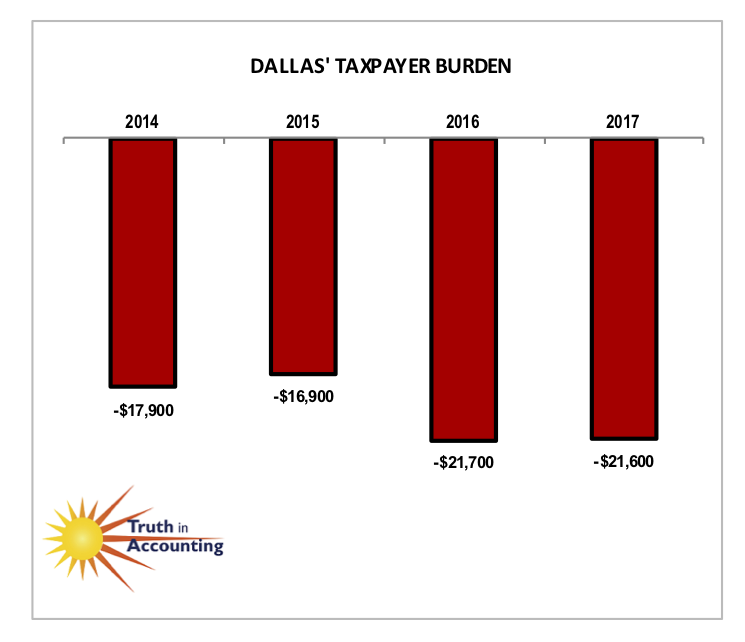 Dallas' Taxpayer Burden.™ is -$21,600, and received an "F" from TIA. Dallas is a Sinkhole City without enough assets to cover its debt. 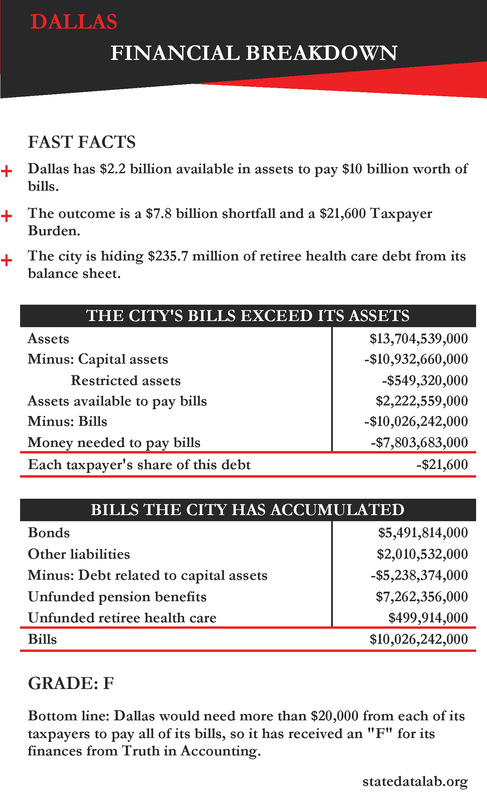 Dallas only has $2.2 billion of assets available to pay bills totaling $10 billion. 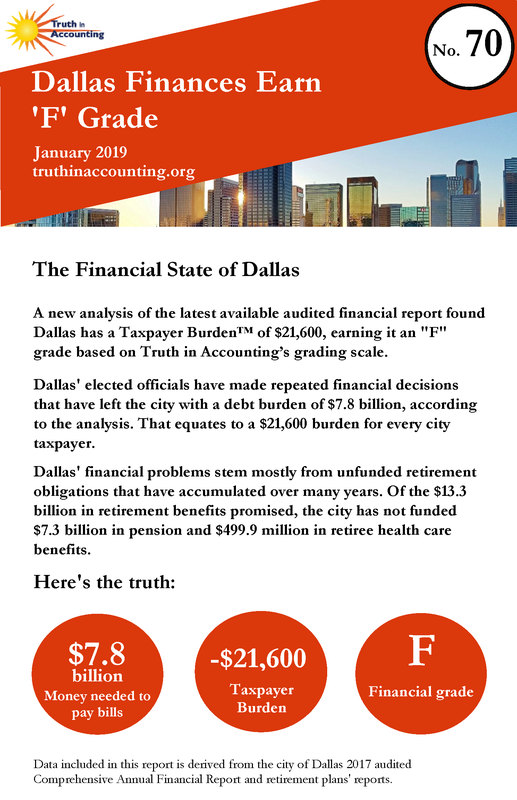 Because Dallas doesn't have enough money to pay its bills, it has a $7.8 billion financial hole. To erase this shortfall, each Dallas taxpayer would have to send $21,600 to the city. The city is hiding $235.7 million of its retiree health care debt. A new accounting standard will be implemented in the 2018 fiscal year which will require governments to report this debt on the balance sheet. The Dallas Police and Fire Pension System, according to news reports last month, finally sold a Napa California resort for $22 million, which it had spent $111 million to acquire in 2006. Dallas: a new high tech smart city or a sinkhole city?